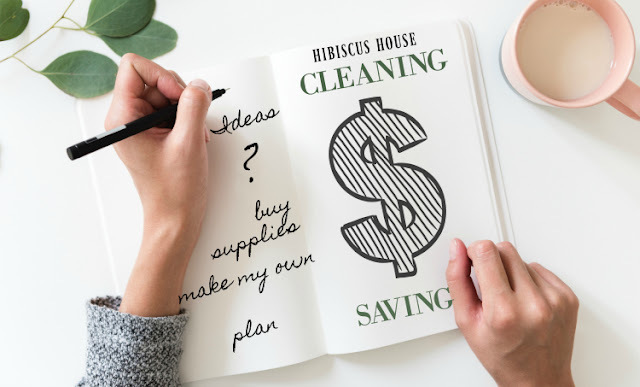 Today I share some tips I use for saving money on cleaning. I don't proclaim to be an expert on cleaning, but can tell you from experience what works for me. You may have to use a little mixing muscle and find storage for the supplies you will need. The truth is, in the end you will save so much money! Is this house spotless? Heck no, but it is livable. Why is it not spotless? Because I spend most of my time doing for others! True...but hey, I always say, "People are more important." 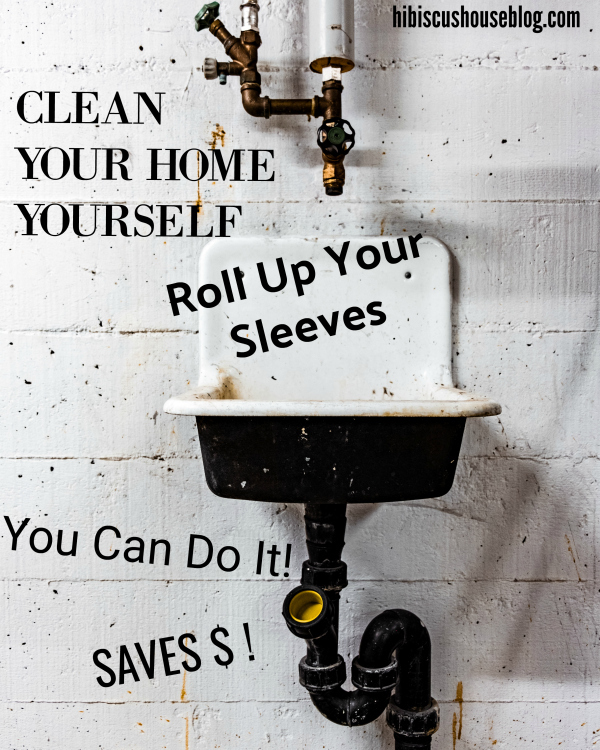 I will share how to save money for when you clean. I do know that from years of experience! 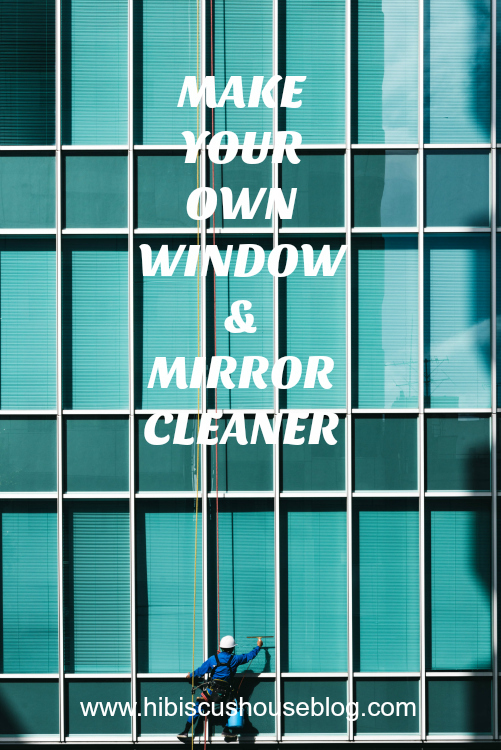 TIP #1-- CLEAN YOUR OWN HOME-- SAVINGS = $-HUNDREDS A MONTH POSSIBLY! TIP #4-PLAN SHOPPING TRIP TO BUY SUPPLIES NEEDED. STOCK AND KEEP IN STOCK CERTAIN CLEANING INGREDIENTS YOU WILL USE MOST. YOU KNOW BEST WHAT AND HOW MUCH YOU WILL NEED. I HAVE A PARTIAL LIST OF MINE BELOW. YOU MAKE A LIST THAT SUITS YOUR NEEDS. TIP #5-DO ALL OF THE SHOPPING AT ONE TIME, IF POSSIBLE THAT WILL SAVES TIME AND-MONEY SPENT ON GAS. $-BIG SAVINGS TO CONSOLIDATE YOUR TRIPS. TIP #6--PLAN FOR STORAGE OF ITEMS PURCHASED. THIS SAVES TIME & $ IN THE LONG RUN. 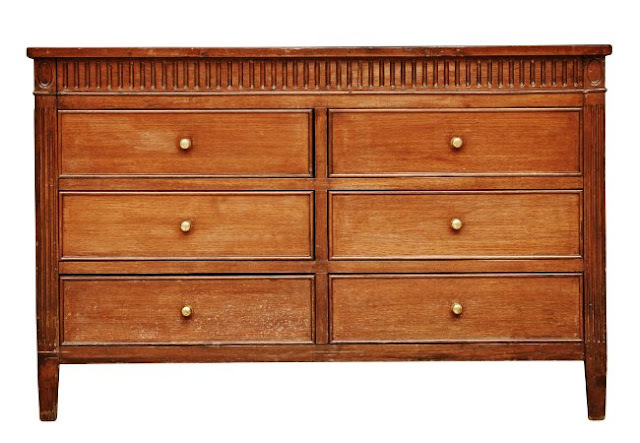 ORGANIZED STORAGE LETS YOU NOTICE WHAT YOU NEED WITH JUST A GLANCE! TIP #7- PREPARE, MIX, COMBINE YOUR CLEANING SOLUTIONS. 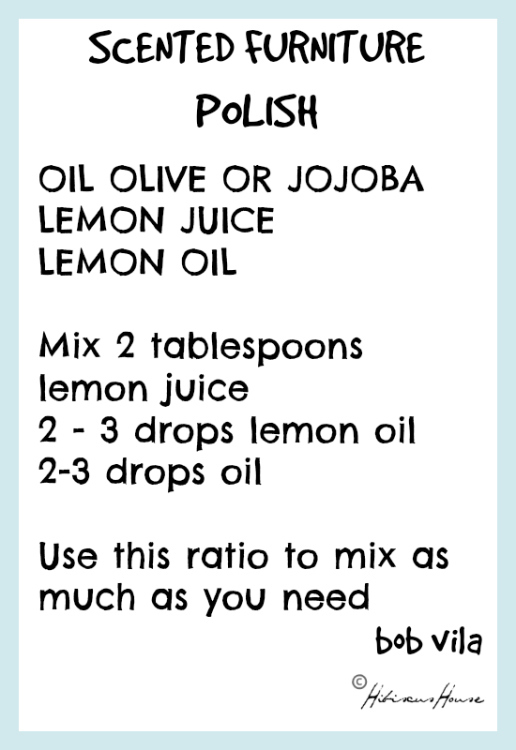 MAKE ENOUGH SO THAT YOU WON'T BE CONSTANTLY MIXING. SAVES TIME AND ENERGY. 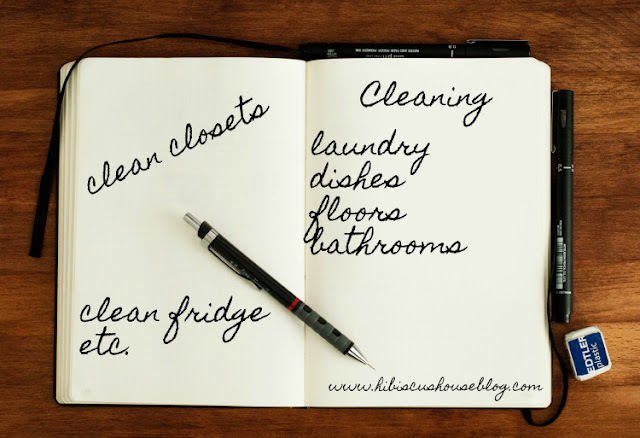 TAKE A DAY TO DO THIS PREP WORK OF ALL PURPOSE CLEANERS, LAUNDRY SOAPS, FABRIC SOFTENERS, DISHWASHER TABS ETC. CLEAN: Do what you are willing to do yourself. Don't hire everything out! I'm in love with the idea of having a cleaning person, but in reality don't have one. I come from a long line of strong independent women who do things for themselves, so I've never done otherwise. I'm here to tell you that you, yourself can do more than you realize. BIG SAVINGS can be had. You also know your home better than anyone could. You know what needs cleaning the most. So who can clean your home better? You, yourself! I didn't say it would save you time, but it will certainly save money. 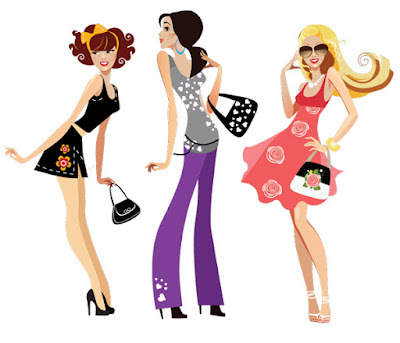 Use the money you will save, which could be $ Hundreds, for a fabulous gift! After all the hard work, you will have earned a surprise! 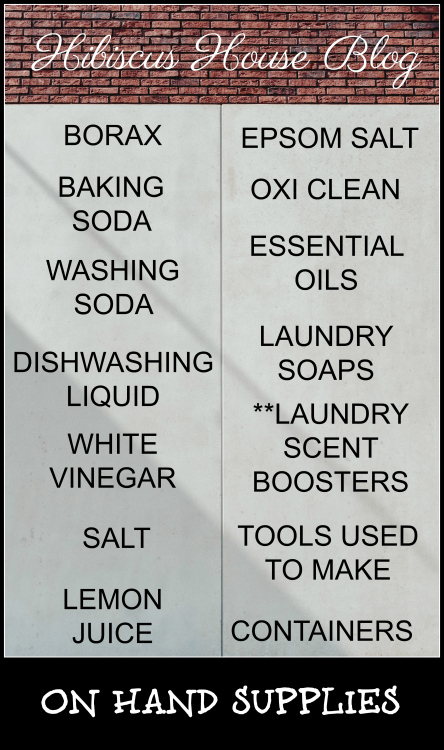 CLEANING SUPPLIES: Do you know you can use simple things that you have on hand to make your own? You can and should take advantage of it. TALK about savings! I have a printable pic above with at least some of the most important supplies to Keep On Hand. I find my borax and washing soda to be the least expensive in our area at Walmart. I find a huge bag of baking soda, Oxi-Clean, Downy Unstoppables at Sam's Club. ESSENTIAL OILS are a must to have around for wonderful added scents. **Note I don't like using the scent boosters but hubby likes the smell better and doesn't fuss when I use the homemade detergent. They do improve smell but I mix it in sparingly. 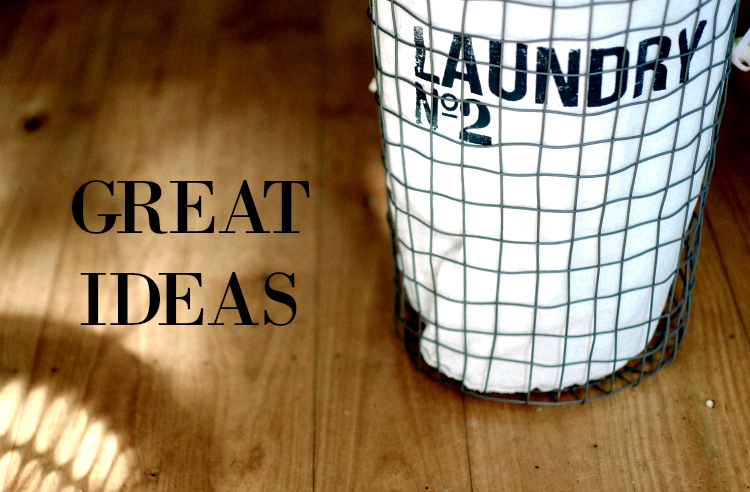 You can make your own Laundry Scent Booster for even more savings. I do that from time to time as well. 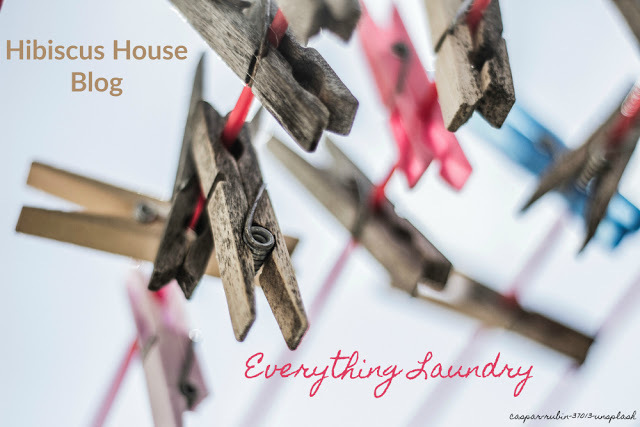 CHECK THE LINK HERE: HOUSEKEEPING: FOR GREAT tips, DIY, homemade cleaning products that I use daily...I make my own laundry Detergents/Soaps, Dishwasher Tabs, Use Wool Dryer Balls, and make homemade Laundry Softener as well as Laundry Scent Booster. 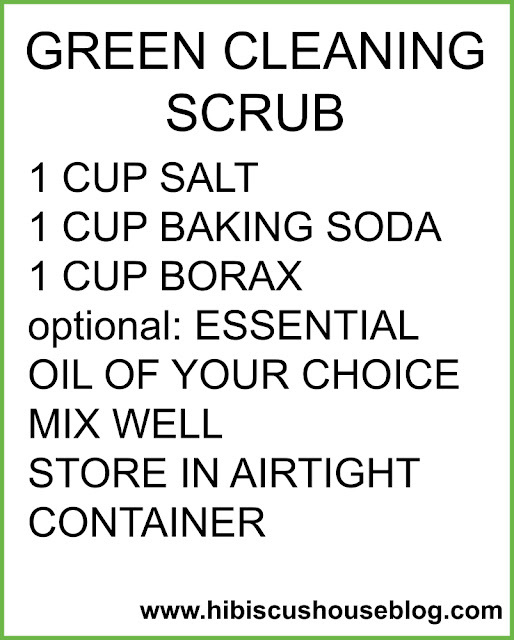 Cleaners like comet etc can be made with a few simple ingredients! They work too! LAUNDRY LINK ABOVE I just added for convenience. 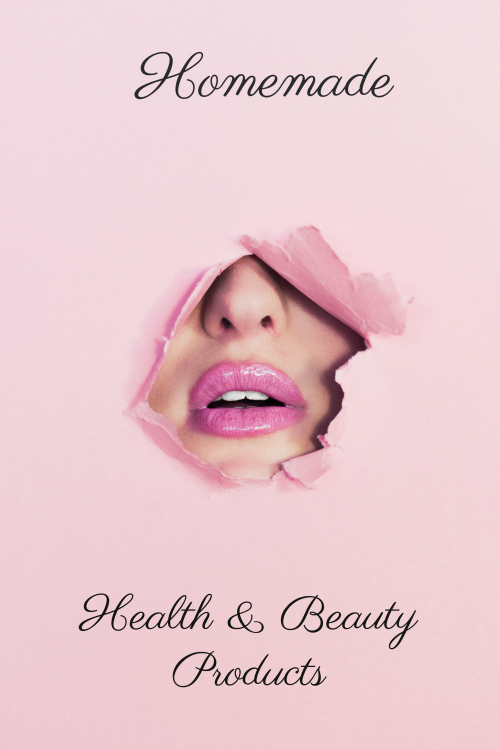 I'll be adding more links and mixtures/recipes for other cleaning and beauty products later. SCHEDULE/PLAN: Certain tasks to be done on certain days. I do find that works best (unless you are interrupted by other things, my constant state here..lol). Key Words--Be flexible. You decide what is best and on what days. Personally, I have plans and try to follow but something always comes up. I still believe without planning it is harder to accomplish much. LAUNDRY: This is something I've recently come to realize and it seems to be working better for me. I've always been a MONDAY is WASH DAY person! I now find that when I get up I sort laundry and wash at least one load a day. You try and see what works best for you. This also prevents the huge overload of dirty laundry, that makes us all stress out. There is nothing worse than needing, or wanting an item that is in the dirty clothes hamper! Again key words--Be flexible. It's not set in stone but believe me it works well when you can do this. Buy a set of real WOOL DRYER BALLS for your softener and you will Save, Save, Save over a years time. I use softener on a few of husband's dress shirts but only because he likes the smell. I have used these for over 3 years and I can't tell you the money I've saved. I can tell you I purchased a bottle of Downy that has lasted almost 2 years. Think about those savings. Add it up and you'll see. 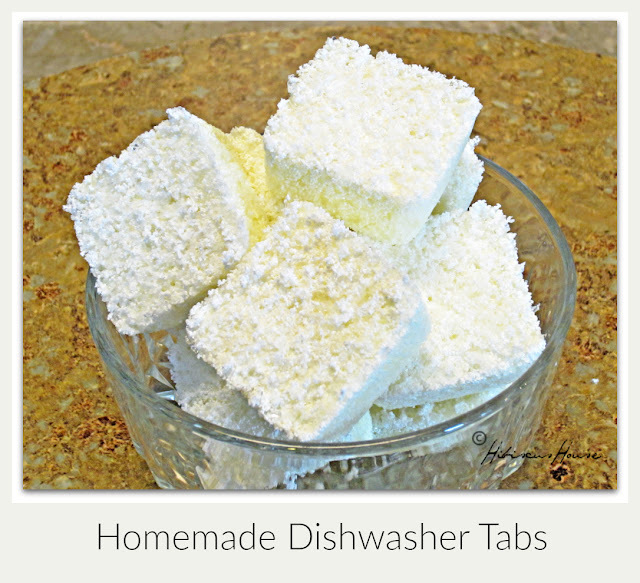 Now, you've purchased your real wool dryer balls and all of your ingredients to make your own homemade laundry detergent/soap, scent boosters and homemade liquid fabric softener. You are set to go with your laundry needs. I actually took a day to grate my soaps and I have enough on hand to last me forever! CLEAN BATHROOMS on same day that helps too. I mean if you're gonna get wet it might as well be for doing all of them. Right? If you have two floors with baths, at least take it by floor and clean one floor at a time it's totally up to you. Sometimes time is limited. If time isn't limited then go for it. It is a strenuous job sometimes so put a day aside to do all that you can do. Spray tubs, showers, sinks with cleaner. Open window for good ventilation and turn on the fan as well. Allow time for the cleaner to work before touching. 10-20 minutes should be good. Put cleaner into toilets. Allow this to work as well 10-20 minutes. Shake rugs, replace if needed and wash dirty ones. Do this on a good sunny day and hang these rugs on the clothes line outdoors! That in itself saves money. Clean your mirrors, cabinets, baseboards, dust clear cobwebs from walls & base of ceilings, tidy up room & cabinets if in disarray, as well while waiting on cleaners to work. Take off your shoes, pull up your hair and scrub, rinse and look at the sparkle! This is the BEST I've found for really dirty tubs/showers. Be sure to ventilate well as it is strong. 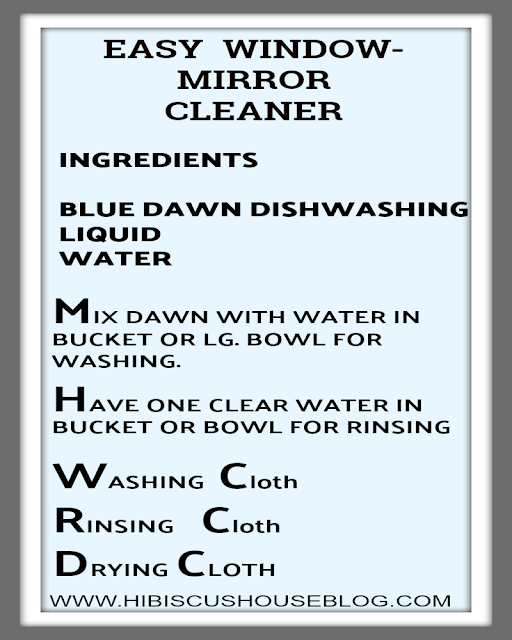 This isn't my mixture but I have tried no better INGREDIENTS: Dawn Dishwashing Liquid (original blue).white vinegar, and a spray bottle. This is JILLEE'S FROM ONE GOOD THING: LINK HERE. I USE THEM A WHILE WITH A RINSE AID THAT IS A MUST WITH THESE! THEN I USE PURCHASED FINISH POWERBALL MAX IN 1 HUGE CONTAINER LAST FOR MONTHS AND MONTHS! 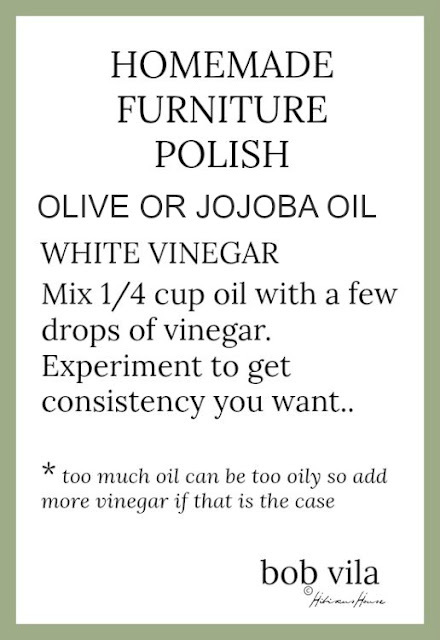 **You could use vinegar as a rinsing agent but I have found that over time the vinegar used in any type of appliance be it dishwasher or clothes washer tends to cause some damage to the rubber parts etc. TWO TABLESPOONS AMMONIA MIXED WITH TWO QUARTS OF WARM WATER. NOTE* I don't use much ammonia because it can not be mixed with many ingredients. It can be highly toxic. If you do use with care and research what can and can not be mixed with it. TWO TABLESPOONS VINEGAR MIXED WITH TWO QUARTS OF WARM WATER. 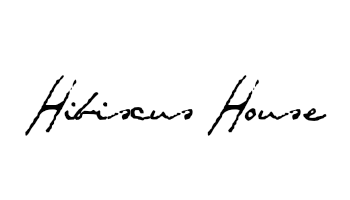 KITCHEN AND BATH I use several purchased all purpose cleaners to do the tubs, showers and sinks. I do believe they aren't as harmful to we humans and our environment as other things. METHOD SQUIRT & MOP WOOD FLOOR CLEANER for those times when you need a little extra cleaning on those beautiful wood floors. I generally mop mine with a damp mop water only and they've held up really well. SMELLS WONDERFUL! METHOD HARD FLOOR CLEANER I like the Spearmint Sage! SMELLS WONDERFUL! 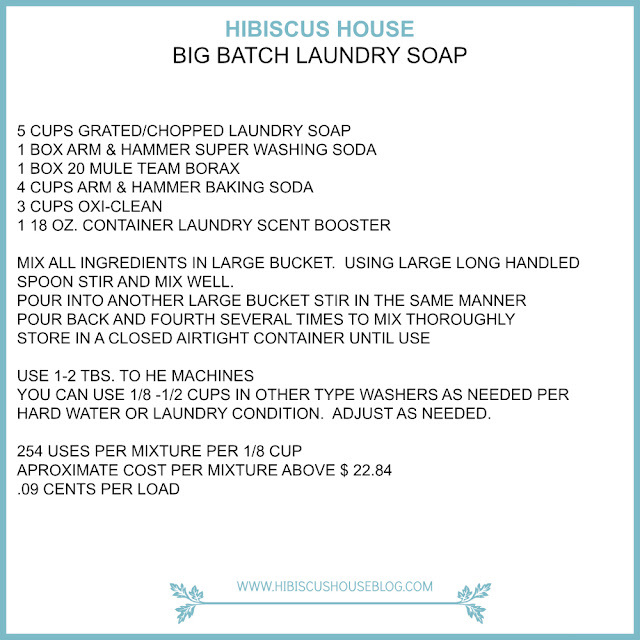 MRS MEYERS DISH SOAP, HAND SOAP, HAND LOTION FOR DISHPAN HANDS. THESE COME IN MANY SCENT COMBINATIONS AND SMELL SO DELICIOUS. 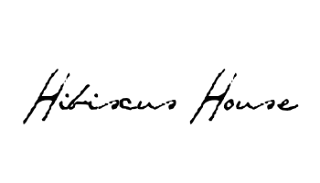 **I love to order and items are packaged well from Mrs. Meyer's. Be sure to check out the best deals with the combo packs of dish soap, lotion and all purpose spray. Those are great bargains. Target also carries a good many of these and I love to go to Mrs Meyers Website as well. DAILY Read and trash/shred mail to prevent tons of junk mail that could take days to clear. DUST & POLISH furniture and Clean Glass Surfaces on same day. Take it room by room. CLEAN furniture such as sofas chairs by removing cushions and turning them over..all the while moving them down to different locations on sofa etc. Be sure to sweep underneath cushions as well. You will want to do this before vacuuming or sweeping floors. Do this at least once a week. DO THE FLOORS all of them at least on one level if you have more than one story. Vacuum, sweep, dust mop, vacuum and mop as needed, time allowing if not mop on another day. KEEP your refrigerator clean on a daily basis. A quick wipe, arranging as items are used. Clean up spills immediately of course. Wipe large appliances at least once a week clean with stainless cleaner if you have that or clean others as needed to prevent stains that will be harder to clean later...like a burnt on stove top...Clean oven frequently. 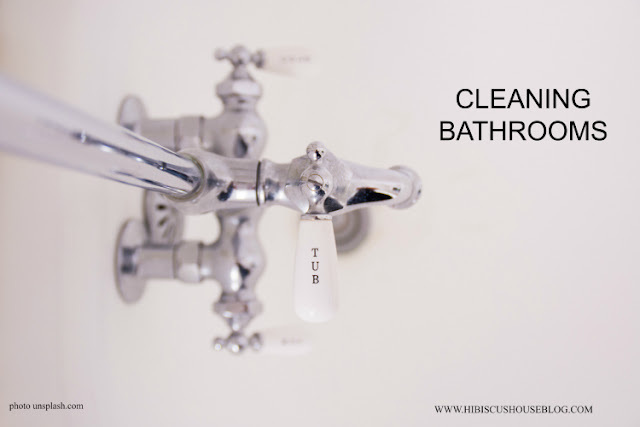 This is a long post but it is full of little cleaning tips, tidbits and mixtures. It doesn't take a lot of ingredients on hand to make any cleaning mixture. Most of them you have on hand anyway, or will have after this. Up Front: Let me tell you that you will have to understand these products aren't full of scents Then again they aren't full of harmful ingredients either. They may not be full of suds: But You can see the dirty coming off of your dirty laundry And Soap scum coming off of your sinks/tubs.